GPA chief executive Paul Flynn revealed today that 60% of inter-county footballers now support the idea of a second-tier championship. 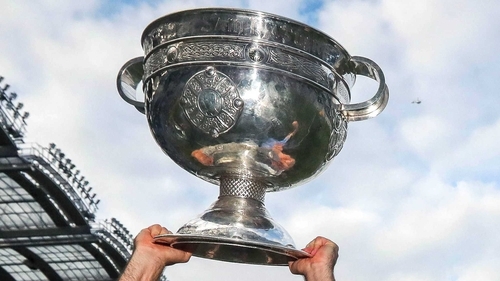 Hurling is run on a five-tier round-robin system, with teams from the top two levels - the top three finishers in the Munster and Leinster Championships and the Joe McDonagh Cup finalists - battling it out for the Liam MacCarthy Cup. There is promotion and relegation between these tiers and the Christy Ring, Nicky Rackard and Lory Meagher Cups. Football is considered to have a more even spread of strength than hurling - Galway are the northern-most county to win an All-Ireland in the small-ball code - but there have been calls for the Championship to be divided into 'senior' and 'intermediate' style competitions to ensure some teams' summers don't end after only two games. GAA president John Horan is an enthusiastic proponent of such a change, describing it last month as "inevitable". He has outlined a possible format of Division 3 and 4 teams taking part in a separate competition rather than the qualifiers. Writing in the Irish Times, Flynn said: "Interestingly, almost 60 per cent of football members surveyed told us they would support a change to a tiered football championship. "This represents a significant shift in player opinion from 2016 where squads from Division 4 unanimously voted to boycott a proposed "B Championship". Flynn added that inter-county hurlers were significantly more satisfied (90% to 53%) with the number of games they played in 2018 compared to their football counterparts. "Some of the Mayo lads have played more Championship games in two years than I have played in 10 years." Speaking to RTÉ Sport at the recent GAA championship draw, two players who competed in Division 4 of the Allianz Football League last season gave opposing reactions to the notion of a second-tier competition. "I would welcome it," said Leitrim stalwart Emlyn Mulligan. "It's more games for teams of the weaker counties, as such. "Let's be honest, we're not here to win it (the All-Ireland title). All we're doing is seeing how many games we can get. You're sitting there idle from May or June in some cases. "We're competing against the likes of Roscommon, for example, and they're playing games in the Super 8s. "Whether they're getting beaten heavily or not, they're still getting games against big teams. "We need to be playing games week-in week-out. That's the only way players are going to improve. "When the Championship draw comes up then, we're not fearful if we get Mayo or Galway because we would have a lot of games under our belt. Whereas at the minute, a lot of our lads have very little Championship experience. Longford's Mickey Quinn echoed that sentiment: "I'd be in favour of a second-tier championship. I don't think I'll see it in my time. Personally, it's more games, I want to play more games. Tyrone had ten games, Dublin had eight. I had three games. "There are as good players in the top tiers, right down to the bottom." Carlow forward Paul Broderick had a stellar season this year, picking up an All-Star nomination as the Barrowsiders won promotion and recorded wins over Louth and Kildare in Leinster. He doesn't believe an intermediate competition would do much to improve the lot of weaker counties. "I would be reluctant to say I would be in favour of it," he said. "I've experience just this year of getting to a Leinster semi-final. I don't have the experience of winning a B championship. "But the likes of the cúl camps and those type of academies are full in Carlow at the moment and that's largely based on promotion from Division 4 and beating Kildare, a Division 1 team. I don't know if that will ever come about from winning a B Championship. "That's no disrespect to the other teams. We're one of those teams, in the bottom half of the country. "But I just don't think it would garner the same respect from media, players and supporters. I can't see it happening." Broderick's manager Turlough O'Brien has been a vocal critic of the idea of a B Championship; he instead advocates a 32-team group-stage competition and told RTÉ Sport earlier this year: "If you’re playing in the Christy Ring or the Nicky Rackard, you see the coverage it gets in the media. Maybe a little paragraph on the sports page. "Attendances are poor, there’s no coverage of the games and it’s treated like a second-tier competition by everybody." For Mulligan, though, even a competition with lesser public interest beats sitting at home watching the big boys battle it out in the Super 8s. And as a long-serving inter-county player who has never lined out in Croke Park, he believes that with the right incentives, the competition wouldn't necessarily become another Tommy Murphy Cup. "I know a lot of people say there would be no media attention on it but listen, we're still sitting at home doing absolutely nothing while other teams are playing, so whether there is attention on it or not, players want games," said . "Maybe you get back in (to the senior Championship), or it's run side by side. The final is played the same day in Croke Park, you have an All-Stars picked out of it and an All-Stars trip or a holiday for the winners. "There needs to be some incentive. If they're putting it in they have to properly structure it and lure players and put in a full commitment for it. "At the minute, League is our Championship. "We lost a lot of players this year for Championship who headed off to America. Their attitude was 'If we don't win the League, basically that's our year over'. "There definitely has to be something done to entice players back. Whether it's an A or B competition we just want more games."